Tack is an alignment of a boat to the wind. It's a very basic term in sailing that should be understood early on as other parts of sailing rely on your knowledge of understanding which tack you're on, specifically rules of the road. 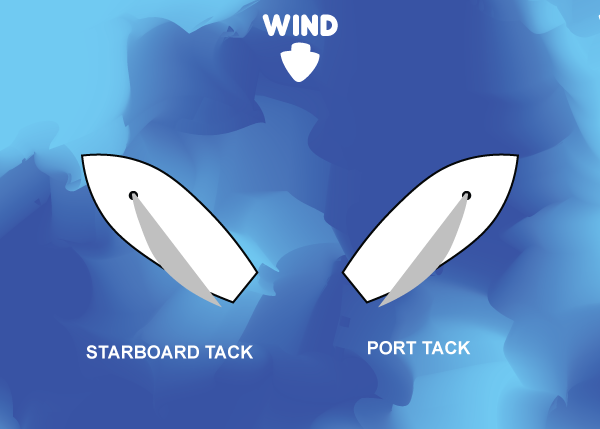 A starboard tack is when the wind is blowing from the starboard side of the vessel, while a port tack is when the wind is blowing from the port side of the vessel, simple. An alternative way to identify which tack you're on and which easily helps you identify the tack other vessels are on, is if the sails are on the starboard side of the vessel, then the vessel is on a port tack, and if the sails are on the port side of the sailing boat, then the boat is on the a starboard tack.